Candidates must apply on-line through the website www.narl.gov.in. The site will remain open from 24.02.2018 (10:00Hrs IST) to 25.03.2017 (17:30Hrs IST) for registering the application. Applications received through any other mode would not be accepted and summarily rejected. Post-Graduate degree in Physics/ Atmospheric Science/ Space Physics /Meteorology / Mathematics or equivalent subject with (a) First Class (60%) marks or equivalent grade and (b) Qualified in CSIR-UGC NET/GATE/JAM/JEST. (1) Doctorate (Ph.D) in the field of Atmospheric Science or equivalent subject with First Class (60%) in M.Sc in the field of Physics/ Atmospheric Science/ Meteorology/ Space Science/ Mathematics / Environmental Science or equivalent subject (or) (2) First Class (60%) in M.E./M.Tech with atleast 3 years of research experience in the field of Atmospheric Science / Meteorology / Space Science and one research paper in Science Citation Index (SCI) journal. National Atmospheric Research Laboratory (NARL) recruits Research Associate, Post Doctoral Fellow, Junior Research Fellow posts. M.E./ M.Tech, Post Graduate, Ph.D, Qualified in CSIR-UGC NET/GATE / JAM JEST candidates can apply. NARL is an autonomous research laboratory fully funded by the Department of Space, Government of India and involved in carrying out fundamental and applied research in Atmospheric and Space Sciences. It had its humble beginning in 1992 as the National Mesosphere-Stratosphere-Troposphere(MST) Radar Facility. Over the years several complementary techniques such as Rayleigh/Mie lidars, wind profilers have been added. NARL is administered by a Governing Council with Secretary, DOS as the Chairman and Director, NARL as member secretary. The Governing Council sets broad policy guidelines for NARL. 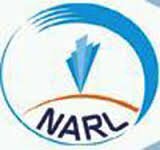 A Scientific Advisory Committee consisting of eminent scientists in the field of atmospheric science, monitors the research activities and progress of NARL and provides future directions.